Located in South Jakarta, Jl. 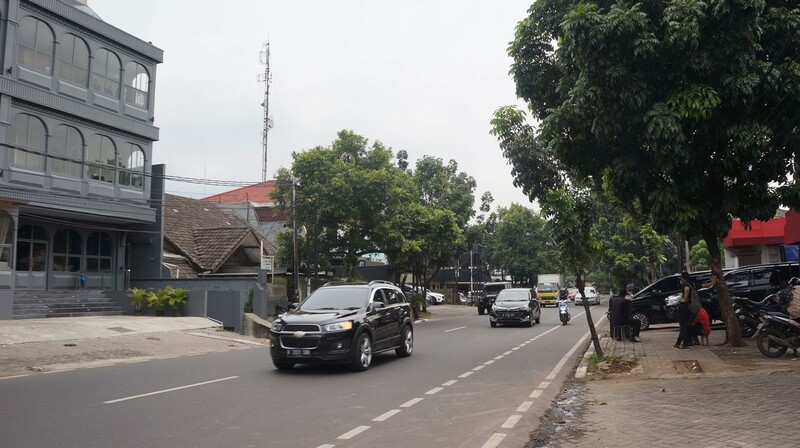 Gunawarman is a one-way street tucked south of Sudirman Central Business District (SCBD). Home to a plethora of restaurants, as well as menswear fashion outlets, beauty parlors and health centers, the street is a one-stop pamper spot. It is advisable to use a taxi or ride-hailing app, such as Go-Jek or Grab to reach the area. Those who want to use public transportation can ride on Transjakarta and get off at a nearby stop, such as the Blok M terminal. However, the stops are still quite far from the destination, so you must still continue on foot or private vehicle. With different restaurants and shops along the street, you can tailor your outfit for the occasion. Dress up for fine-dining or wear your workout gear to exercise at the yoga center. For casual visitors stopping by for coffee or a hair appointment, comfortable clothes such as T-shirt and jeans could be the easy choice. 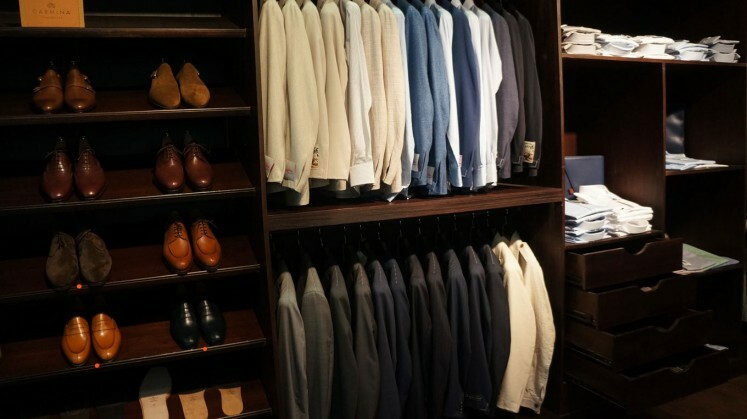 The street is home to three upscale men’s tailors, ready to create impeccable bespoke suits with quality fabrics and professionally trained tailors. Inside the Gunawarman 30 building there is Archie, a premier menswear clothing retailer that focuses on casual yet sharp suits. In collaboration with Brillington Brothers, customers can also get a tailored suit made to measure, with prices starting from Rp 8.5 million (US$618.8). There are also choices such as Ramayana, which is located across the road from Archie, as well as Diorama Tailor, situated just a little bit further down the road. At Diorama, resident expert Naresh V. Lalwani is ready to measure and assess the best style for each individual. "You have to fit the suit to the construction of the body," Lalwani said. The classically trained tailor would also help to sort out proper fitting, whether your body shape is designed for an English, Italian, Japanese or Dutch cut. Prices start at Rp 12 million for a suit, which consists of a jacket and trousers. 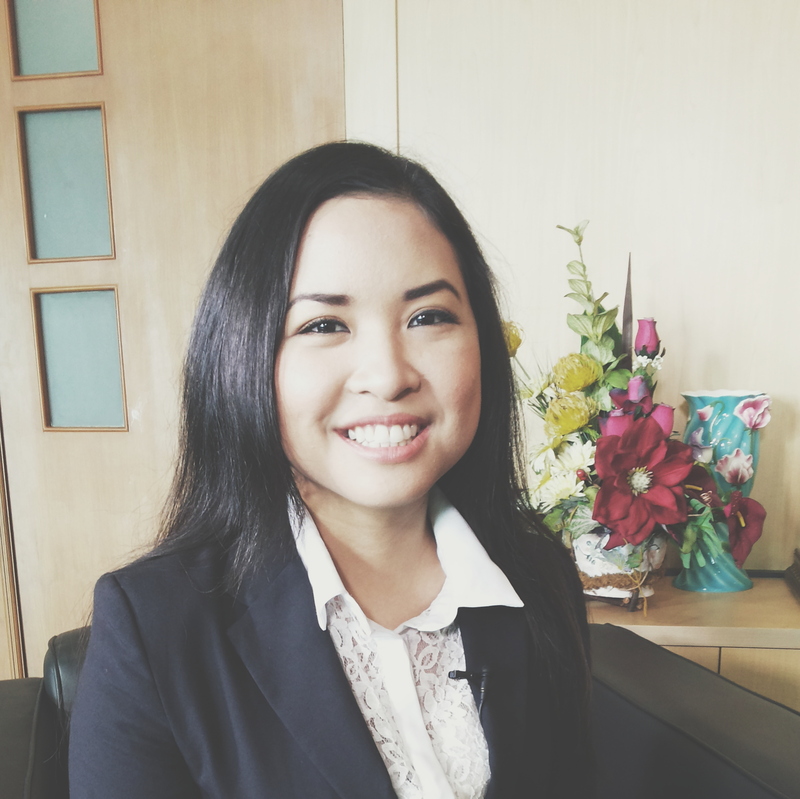 For beauty appointments, a standout is the Anggie Rassly Brow Studio, which specializes in alis sulam (eyebrow embroidery) and eyelash extensions. Done by Anggie Rassly herself, appointments for eyebrow embroidery are fully booked until 2021. However, if you're lucky, there are VIP appointments available for a higher price of Rp 12 million, compared with the usual Rp 7 million. Eyelash-extension appointments are still available. Other services offered also include lip and eyeliner embroidery. Meanwhile, for those who want to learn to be brow specialists, there is also the Anggie Rassly Professional Brow Academy. For more variety in beauty treatments there is the Madeline Beauty Center, which offers unique treatments such as gold facials, anti-aging therapy with stem cells, as well as specialized pre-wedding package treatments for bride and groom. For an invigorating activity, there is Power Swing Studio of Mind and Body where you can work out on a suspension device, combining elements from yoga, Pilates, gymnastic and aerial. Available classes include Power Swing Intro and Anti Gravity Yoga Fundamental. For a regular workout without a swing, there is also Power Yoga or KickBoxFit. For upscale dining, Le Quartier and Sofia at The Gunawarman make for enticing choices, with their plush interiors and exquisite menus. Le Quartier's atmosphere hints at a Parisian vibe to accompany its turn-of-the-century European cuisine. Meanwhile, Sofia is a luxury hotel restaurant serving a variety of Italian, French and Asian cuisines. For an authentic Indonesian taste, there is Samsara, which serves traditional local dishes in a stylish space. Meanwhile, low-key Fitzroy Gastrobar could be a choice for a more casual meal. 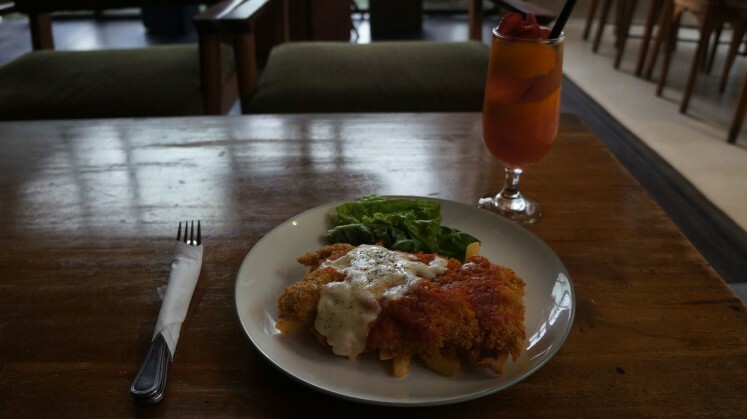 Sitting on the top floor of the Gunawarman 30, Fitzroy is a cozy bar setting that serves cafe-style food, such as chicken parmigiana, to accompany beers and cocktails. The eatery also hosts live music on the weekends. 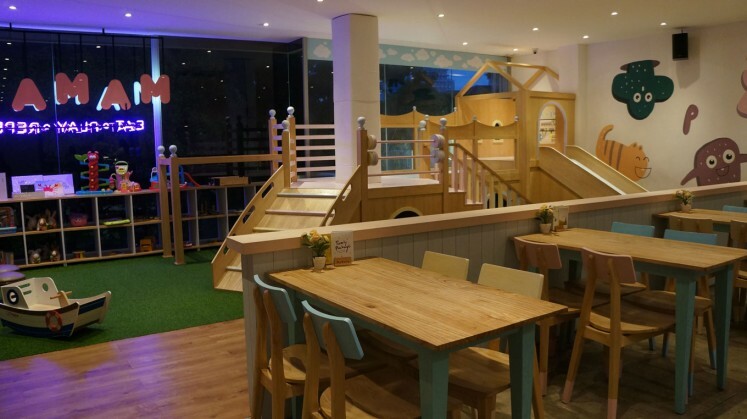 For a child-friendly restaurant, there is Mamain, which is located above Fujin restaurant. Mamain is popular during the day, where kids can play in the indoor playground. To reach Mamain, you must head upstairs from the side of Fujin and pass through a clothing store. Jl. Gunawarman is home to the luxurious The Gunawarman, an opulent hotel with lavish interiors. Though located in a busy business area, its uniquely classic architecture and distinct decor translates into a tranquil atmosphere, as the hotel is also nestled in the tree-lined street of a high-end neighborhood. Although Jl. Gunawarman is manageable on foot, watch out for cars and motorbikes that sometimes block pedestrian areas.